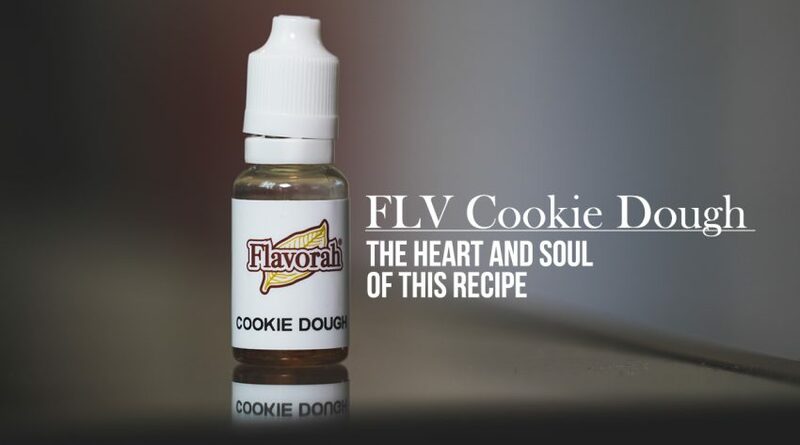 FLV Cookie Dough: This is the flavoring that changed everything in this recipe. 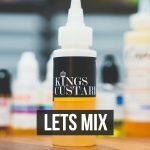 There were tons of variations that I created to try and capture what FLV Cookie Dough does in one bottle. FLV really hit it out of the park with this flavoring. It needs help a bit in its finish, which is what the other flavorings do in this recipe, but for the most part it’s a deliciously soft baked cookie flavor. In this recipe, it's the foundation and the cookie that envelopes the recipe. 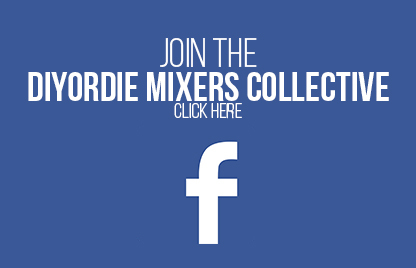 At 2% you get its full flavor without bombarding the mix with too much. Expect this stuff to sell out quick in most places so pick it up as soon as you see it, if you don't have a FLV wholesale account. TFA RY4 Double: There isn't much else to say about RY4 Double that I already haven't said. It's a caramel flavoring with a touch of tobacco on the end. In this recipe at 3%, and after a good 5 days steep, this flavoring blooms into a deliciously velvety caramel flavor with a deep tobacco that compliments all the notes in this recipe. That tobacco at the end just adds a touch of complexity to the mix without being off-putting. FA Cookie: This mainly adds to the texture of the recipe. FLV Cookie Dough on its own isn't too textured and misses that grittiness that I love so much in cookies and cookie dough. FA Cookie packs some great texture, and its flavor profiles match up well with FLV's flavoring. Just a touch though, as anything too high kinda overpowers the mix with its unique cookie flavor. Something we don't want in this recipe as it would distract away from the FLV Cookie Dough. FW Pie Crust: This is the secret weapon to the mix. FW Pie Crust packs a great brown sugar bakery note in it that FLV Cookie Dough and TFA RY4 both need. It adds depth, and a ton of it, while also standing in bounds of its profile. This flavoring at 1% just compliments and enhances everything it touches in the recipe. FW Hazelnut: And lastly is FW Hazelnut. A simple flavoring that helps push a milk chocolate lie flavoring throughout the mix. I also enjoy it paired with TFA RY4 because it gives it somewhat of a creamier body. It's subtle, but it helps out in great ways. As previously stated, this is a profile that has some headroom for toppings. I don't suggest going overboard with toppings, as you don't want to run the risk of overflavoring. So keep things simple and match the profiles up well. Also make sure you've steeped at least one week before doing any testing or tweaking. That RY4 needs to fully bloom before you get the best out of it. There's a long story that goes along with this recipe. If you're not one for theatrics, move along, mix the recipe, have a nice day. But if you're interested in the development, this is for you. So back in 2015 I've began working on this profile. One of the biggest challenges I faced, and was quite vocal about, was the difficulty of nailing that cookie dough profile. 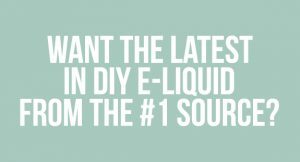 Ever since I tried that Da Vinci eliquid from Artemis, I knew it was possible. But I could never find the right flavoring to nail that profile down. I knew it was a flavoring I was missing and not an entire recipe because their line wasn't too impressive (though did has some nice flavor). There were countless numbers of recipes I've tried, trying to capture the essence of cookie dough. And it was only until recently that I was able to find a flavoring that matched the flavor I was looking for. A Cookie Dough RY4 was a flavor profile engrained in my head for almost 2 years. So long in fact, I almost scrapped the idea and started developing another profile that was supposed to take the place of this recipe (I'll talk more about this later). The RY4 portion of the recipe was easy. After a ton of different variations I was able to pretty much get the exact RY4 foundation I was looking for. An RY4 focused on the Caramel, but introduced some Graham Cracker to help push that cookie along. But the charm of the recipe, the soul of the recipe, was in the cookie dough body. My idea was to develop a Cookie Dough like recipe and have a nice soft crack caramel tobacco leaf finish. This was also a recipe that I wanted to work in my Kayfun. I love the style of vape I get from my kayfun, more particularly RY4's. And so I developed the recipe around this tank. But back to the recipe, I started to become worried this recipe wouldn't quite be possible for the time being. Over and over again I told my audience that the recipe was on its way, but after some time things would fall apart, or that cookie dough body would turn out lifeless and incomplete. I even tried forgetting the "dough" part and trying to work in just a cookie ry4. I just wasn't getting the flavor I needed from it. Then comes along FLV's Cookie Dough. This was a brand new flavoring, and Jen Jarvis was telling me how wonderful it was. I was apprehensive about using a cookie dough single flavoring as the body. I still mixed up a few batches at varying degrees of concentration, and I knew immediately this flavoring would fit perfectly into my recipe. After trying to work this recipe for so long without the main profile within the recipe, I began having these preconceived notions about what the flavor SHOULD be. I was stuck in my ways to put it simply. This is supposed to be a perfect recipe on its own to fulfill my needs. 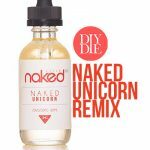 My ideal vape is a soft chocolate chip cookie body, with soft crack caramel on the finish and a touch of tobacco leaf on the end to finish off the vape. But it started to become clear that adding a topping to the recipe might bring it into the stratosphere. So I started adding things like Banana, Apple, Black Cherry to top off the recipe. What I found was that this recipe acted almost like a blank canvas for any flavor profile you wanted. That cookie RY4 body was an excellent base for specific toppings, but still maintained the heart and soul of the original flavor. So a battle I had with myself was to find the "right" topping for this recipe, or release as is - something that was excellent on its own but allowed for room to tinker with. I realized that many of my own one shots and most on the market were recipes that didn't offer any room for tweaking. They were complex recipes packed with aromas, meant to be mixed up by themselves. So why not take a risk? Why not go the opposite route and release a recipe meant to be used on its own, as well as tinkered with at the same time. A true bridge for the beginner. Something that they can mix by themselves to get familiar with the process of mixing, and then have enough room to add whatever it is they wanted on top. So I chose the latter. This ended up giving me a completely different set of issues. The recipe was ready to go from the start, but it still needed some tinkering to give that headroom. The solution ended up being to allow JUST BARELY enough room for one topping. If I allowed a lot of room, then the recipe would lose its luster, and if I didn't leave enough then over flavoring would occur. It only took two batches to figure out the right balance. You can say I got lucky. To be honest, the entire recipe seemed like it was born out of luck. If it wasn't for Artemis' Da Vinci happening to be at that one shop at the right time, I would've never guess this profile would be possible. And if it wasn't for FLV Cookie Dough coming into the fold at the exact right time, this recipe would've been scrapped. This recipe was almost destroyed completely and a new recipe went into development because of the amount of failure I was having in the early stages. This other recipe would've been known as "Borax" and would've been the cream variant of this (something I may release down the line). There were a lot of variables, a lot of testing, a lot of disappointment, all throughout making this recipe. But I'm finally done with it and I couldn’t be happier. I hope you enjoy this recipe, and better yet, I hope you mess around with it and find something you like. I'll be adding some of the toppings I've tried on this recipe that worked well, but that's really something I want to leave up to you. 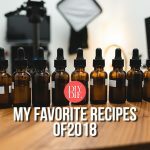 Make sure to leave a comment or post your recipe tweaks to let me and the community know your findings. I think it is a great concept. I am sure you will get detractors but I think you are used to that by now. Anyways thanks man, I cant wait to mix this. I gotta get some Cookie Dough and Pie Crust. I know you’ve said before that crafting complex recipes isn’t as easy as it seems and its a reassurance that even someone with as much experience as you can run into profiles that take months or even years to fully develop. Great article and the recipe looks interesting – just have to order a few flavors first. Man this recipe is delicious Wayne! Initially I mixed it with the 5% banana bread addon, I have found I prefer it without it. 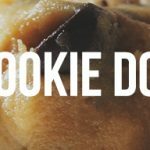 Thanks for sharing this awesome recipe, and introducing me to FLV Cookie Dough! This has become one of my ADVs for sure!